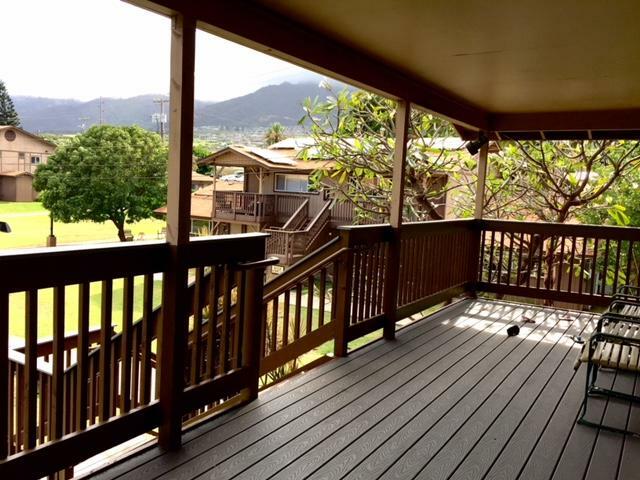 Deck of a second floor 2-bedroom in Ka Hale A Ke Ola's residential homeless shelter in Wailuku. Monique Yamashita, CEO of Ka Hale A Ke Ola, says she loved the old model of working with their clients for two years to build their skills. She admits to being amazed at how well Housing First is working since its implementation in February 2017. Noe Tanigawa and Catherine Cruz hear from Maui social workers at Ka Hale A Ke Ola. Ka Hale A Ke Ola has about 700 people living in their affordable housing complex, Hale Makana O Waiale, in Wailuku. The structures look like dark wood townhouses, well spaced, with picnic tables and lots of room on a rolling 5 acre property. This is how they do safe, secure, long term affordable rentals on Maui. Wow. And they also have nearly 400 emergency shelter beds in a tidy compound next door---there are dorms, studios and 2-bedrooms. Joy Rucker was Housing Program Director for Ka Hale A Ke Ola Homeless Resource Centers (KHAKO). She has worked in homeless programs in Los Angeles, San Francisco, O‘ahu and recently moved to Texas. Rucker said, on Maui, every one of KHAKO’s clients who was seriously working toward housing, has been housed. They housed 300 people in February’s quarterly count. In 1986, Maui churches got together to feed the hungry—and realized those people needed shelter, and other services as well. KHAKO Central in Wailuku opened in 1995. The West Side shelter in Lahaina opened in 2004. With four to five requests for shelter every day, both facilities are normally full. Here’s the thing: In 2017, both facilities combined served 44.889 meals, that was 10 thousand meals less than the year before, 2016!! Monique Yamashita, CEO of Ka Hale A Ke Ola, says it’s because people just aren’t staying in the shelter as long. They no longer offer drug treatment, parenting, or job skills programs where clients could build their readiness before. Under the Housing First model KHAKO adopted in February 2017, KHAKO finds clients permanent housing as a first step, then connects them with services in the community. Yamashita says this new way of operating was scary at first. It basically meant allowing drug users, and others into her extremely well run facilities. The goal then, was and is to get them into permanent housing within 6-9 months. Yamashita says she’s seen amazing change in the last year. Remember, we’re talking Maui, where a room in a house costs $900 per month. When I stayed on Maui, I paid $150 per night to stay in a hostel upcountry. I have no problem with hostels, it’s just interesting what things cost. $150 per night gets you a bathroom down the hall, shower down the hall, group kitchen, with maybe 8-10 other clean, tiny, bunkhouse style rooms in the building. Parking. Never saw the proprietors. So where can Maui residents afford to rent? Jennifer Magaoay, Housing Specialist for Ka Hale a Ke Ola uses every resource, walks the neighborhoods, chats up landlords, works with realtors to find housing for her clients. Magaoay says the families may have lost their homes because the owners sold, or the kids got sick and parents couldn’t work, and their jobs were jeopardized, or maybe they’re seniors who fall behind. Some seniors may get $750 a month in Social Security, but that will not pay for a room in a house. According to Magaoay, her job is to vouch for her clients. She’s got to give landlords the courage to look past stereotypes and rent to real people. Then she must give her clients the confidence to move in and make it work. Magaoay credits recent success to new financial assistance programs, plus, the creation of a Housing Retention Specialist position. That person follows clients for the first nine critical months in resettling, handling the rental payments if necessary, providing a point of contact and assurance for the landlord. Magaoay says she just hopes landlords and owners will give her clients a chance. One could ask, Why should they when they can make three times the income in the visitor market? If you talk with housing people on Maui, they estimate 5 thousand vacation rentals on that island---how many of those could house working residents? What’s the incentive? Could be some soul searching required ahead. Meanwhile, we’ll talk with Maui’s homeless coordinator David Nakama, who clearly lays out Maui’s strategy. 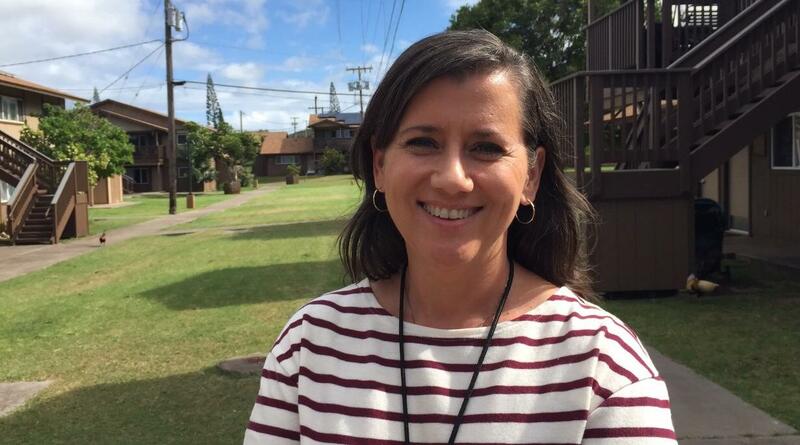 And we’ll talk with Maui’s new Housing Director. Will Spence was Director of Planning for Maui until a month ago, when he moved to his real interest, Housing. Affordable housing is a personal and professional objective for Spence, so we’ll talk about possibilities on the horizon. Homeownership for many low-income individuals earning between 20-thousand and 53-thousand dollars annually has been out of reach because of Hawai’i’s high-priced real estate. Until now. HPR’s Wayne Yoshioka reports on one development in the middle of Honolulu that is truly affordable.